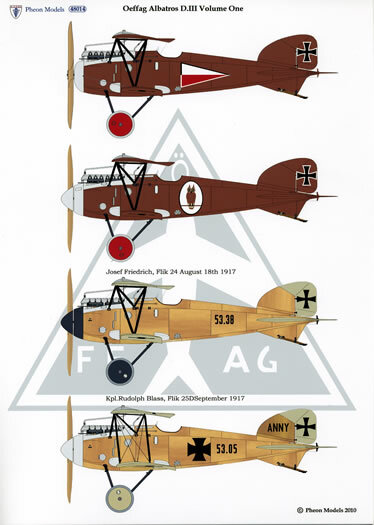 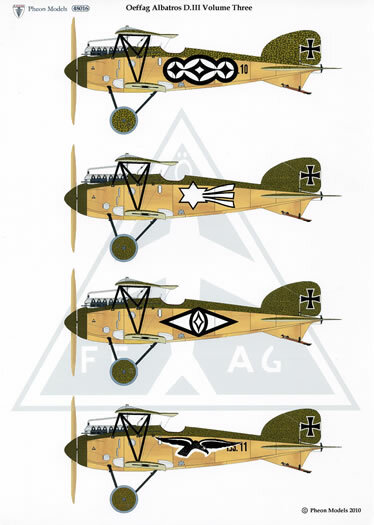 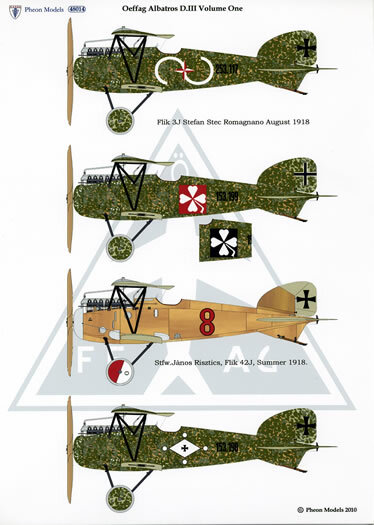 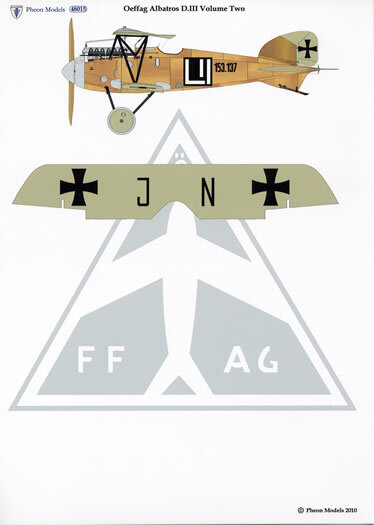 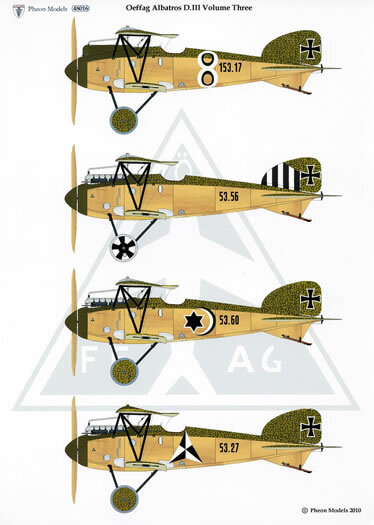 Following the release of Eduard’s beautifully detailed new 1/48 scale kit of the Autro-Hungarian Oeffag Albatros D.III, Pheon Models have announced three sets of decals to enable the modeller to build no less than forty-two different models of this iconic World War One warplane. 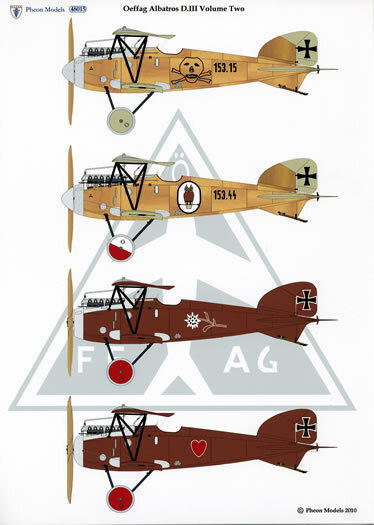 All variants are covered: 53 series, 185 and 200 hp (including one D.II for the conversion addicts) , 153 series and 253 series. 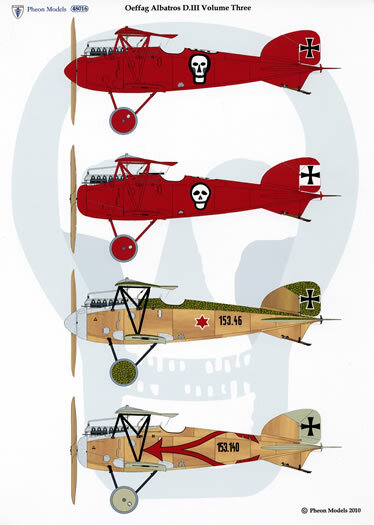 All of which can be built from the parts included in the Eduard 253 kit. 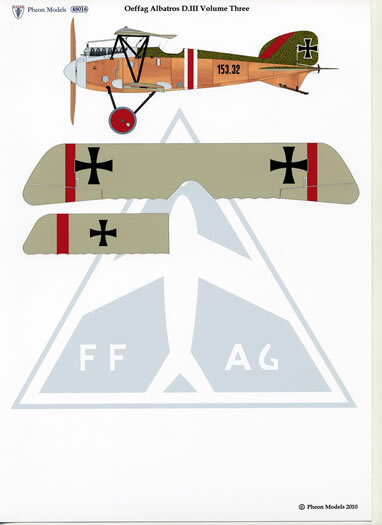 The only slight modification needed will be to represent the two-valve arrangement for the 185hp engine which features in a few of the subjects. 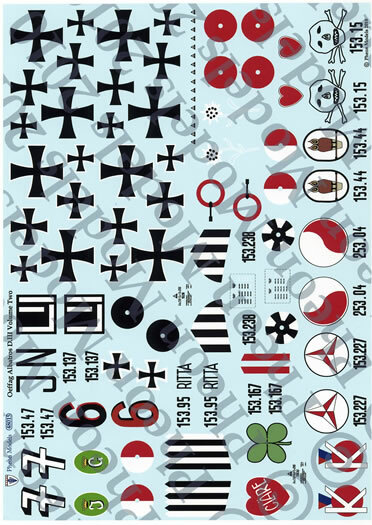 The decals will also be applicable to the earlier Blue Max kit, still available from Blue Max’s new owners, Freightdog Models. 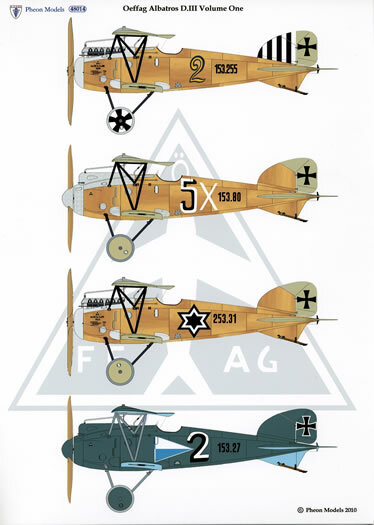 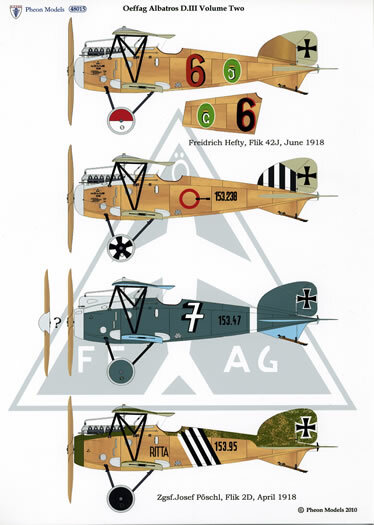 All the decal sets have four sets of Eisernes Kreutz (with and without a white outline) in the correct slimmer style particular to Oeffag Albatrosse. 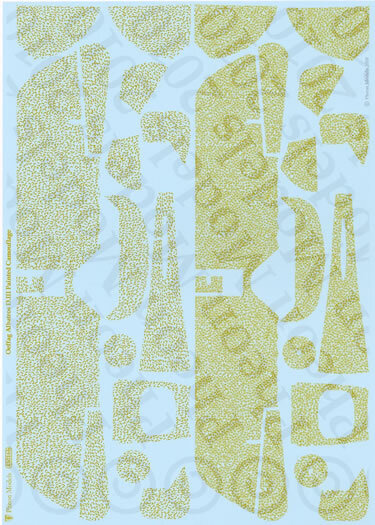 48014 and 48015 are very colourful (up to nine different colours) A.5 decal sheets.48016 will have additional sheets with two variations of the painted mustard yellow shapes used in camouflage over dark green. 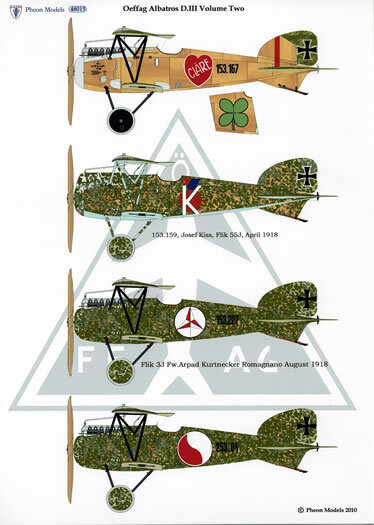 The camouflage decals are 'cookie-cut' to fit the Eduard kit and there will be enough decals to complete two aircraft in this attractive finish, one in each style. 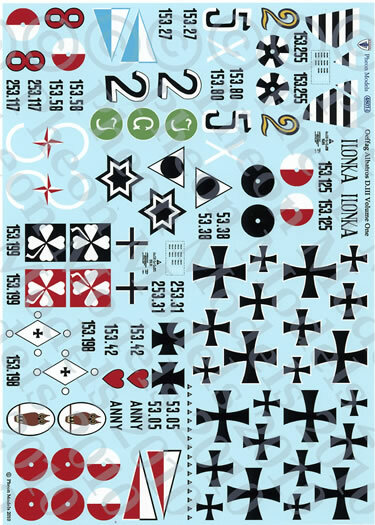 This sheet will also be available separately as 48016b. 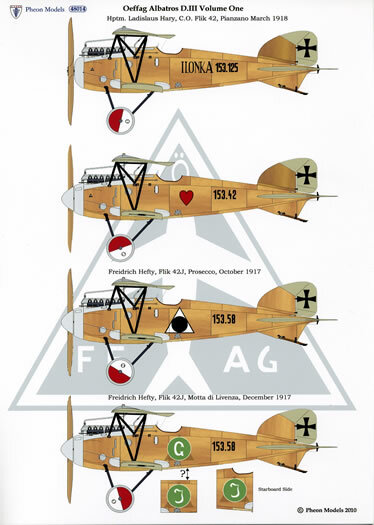 As usual, each marking set will be accompanied by sheets of detailed full-colour profiles on glossy photo paper and a carefully researched booklet, detailing aircraft production and operation and information on the individual pilots. 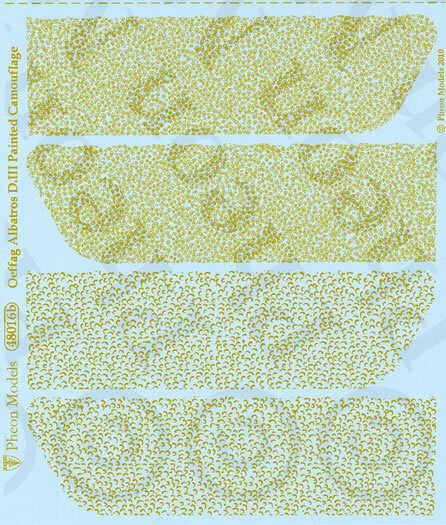 For pre-orders for all three marking sets (48014,48015 & 48016) placed before 27 September 2010, Pheon are offering a generous overall discount of £8.00, which takes the total full price of £43.00 down to just £35.00. 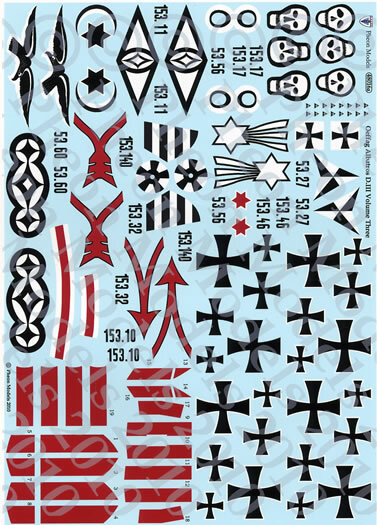 Pheon hope to have these available in the next two months.